If you are a fighter, one of the most important things you can focus on is your activity in the ring. 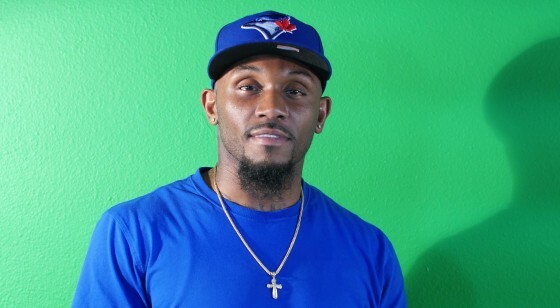 For Mayweather Promotions’ own Lanell Bellows, he is eager to get back in the ring next month, as he will be fighting July 21 at the FedEx Forum in Memphis, Tennessee. It’s a quick turnaround for Bellows (17-2-2, 10 KO’s), a super middleweight with a mean punch and a tireless work ethic; he fought this past May 12 inside of Sam’s Town in Las Vegas, settling for a technical draw with Naim Terbunja after a clash of heads caused a head cut that prematurely ended their matchup. With another fight lined up, we were able to speak with Bellows about a lot of things going on in his life and career, including his ring return, how training at the Mayweather Boxing Club has been, how his children help inspire him, and much more. 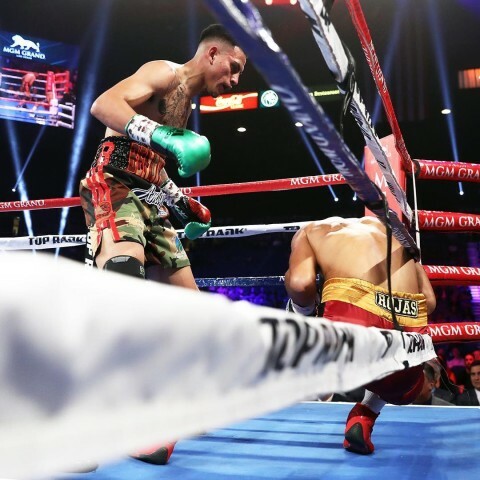 Jose Benavidez Knocks Out Frank Rojas In One Round; Terence Crawford Next? Earlier tonight, inside of the MGM Grand Garden Arena in Las Vegas, Nev., former world champion Jose Benavidez Jr. needed just one minute and 24 seconds to knock out previously undefeated Frank Rojas on the Terence Crawford vs. Jeff Horn undercard. Benavidez landed a big right hand and followed it up with a short shot to the liver that had Rojas down and out before their scheduled 10-round match could get rolling. Referee Vic Drakulich wisely waved the contest off. It’s fight week in Las Vegas, as undefeated, two-division world champion Terence Crawford will be moving up in weight to challenge Jeff Horn for his WBO welterweight title. The Crawford vs. Horn match will take place from the MGM Grand Garden Arena in Las Vegas, Nev. and will be aired on the ESPN + App starting at 9:30 p.m./ET. 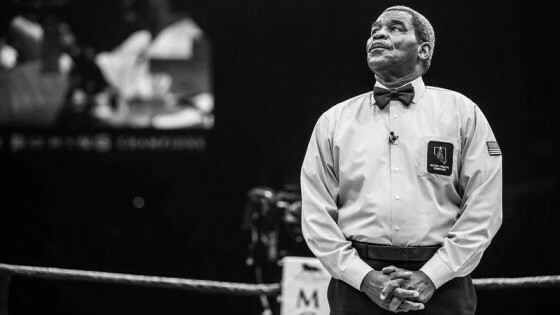 The third man in the ring for the Crawford vs. Horn duel will be longtime Vegas referee Robert Byrd. 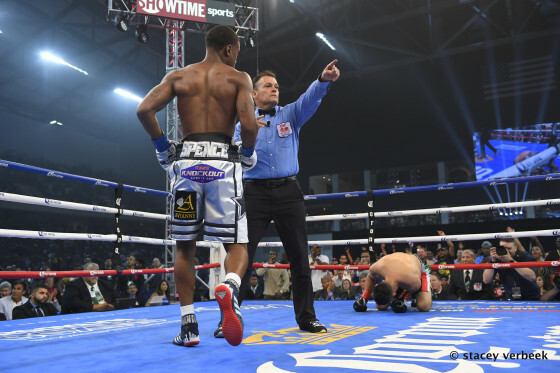 Byrd’s most recent fights that he has officiated have been James DeGale’s victory over Caleb Truax in their rematch at the Hard Rock on April 17, and a recent Mayweather Promotions’ show, where he worked the fights of LaDarius Miller and Maurice Lee in separate bouts.